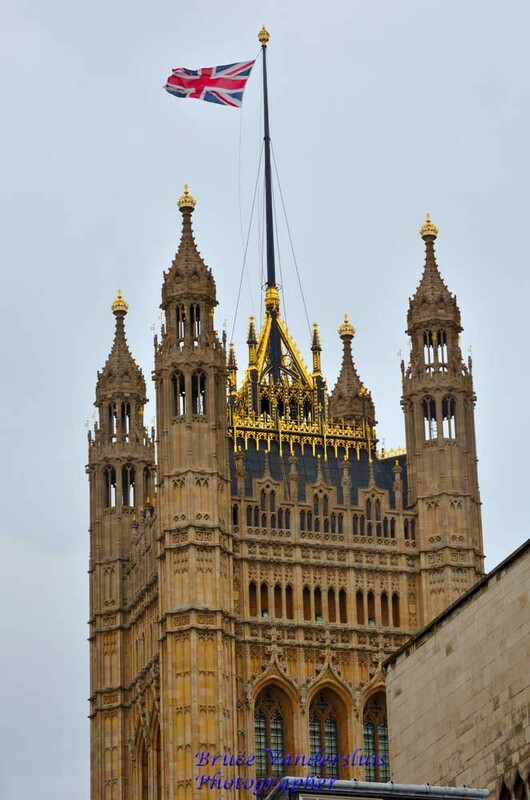 My return to England in 2012 was a pilgrimage. It was the return to my roots, or at least those of my family, after an absence of 35 years. It was time to put ghosts to bed, to find out quintessentially who I was, to show my son just a tiny bit of his very multicultural heritage, to visit long lost family and well, to have more than just a little bit of fun. We entered the United Kingdom into London on the Eurostar from Lille (see my article on Paris Dreaming and the Somme Battlefields). In Australia we do not have high speed trains and any long distance train travel is quite slow in comparison. That said, there are many wonderful train journeys to be had throughout Australia, amongst them the iconic Ghan travelling regularly between Darwin and Adelaide. Our trip on the Eurostar was exceptional albeit just one of many which we undertook on this trip. We had purchased Eurail and BritRail passes for the train journeys we had planned and to be honest, it would have been much cheaper to buy point to point tickets, however this was because we just did not use the trains as much as we thought we would. Much of the touring that we thought we would do independently was wonderfully enjoyed in the company of family. This gave us the opportunity to see far more in the company of wonderful people, and for this we will be forever grateful. Commencing the London part of our trip was amazing and so very appropriate. Give yourself plenty of time here. We spent seven nights in London and it was nowhere near enough. We left knowing that we have to come back to see all the things we missed. Like our friends in Singapore (see my article on Singapore Walks) we did many tours here with London Walks including many Harry Potter and Sherlock Holmes tours. We did a couple of the Harry Potter tours each quite individual, visited Diagon Alley and saw the entrance to the Leaky Cauldron. Our Sherlock Holmes tour was also good although it is less about the movies and so much more about the books. On one tour my husband managed to snap this beautiful London sunset - quite a feat given that London had really turned on the weather for us and it was cold (well we are from Darwin so anything south of 20 degrees C is cold) and drizzly for most of the 7 days. All in all it was very interesting. Another tour took us to stand outside of Buckingham Palace and although it was, yes you guessed it, drizzling that day and we did not get to see the Changing of the Guard, we did get to see the horse procession which was almost as good. This tour took us to Westminster Cathedral which was absolutely fascinating. If you follow my articles you will by now know that I harbour a secret (mmm maybe not so secret) love of beautiful architecture. I also have a love of history and there is plenty of that here. 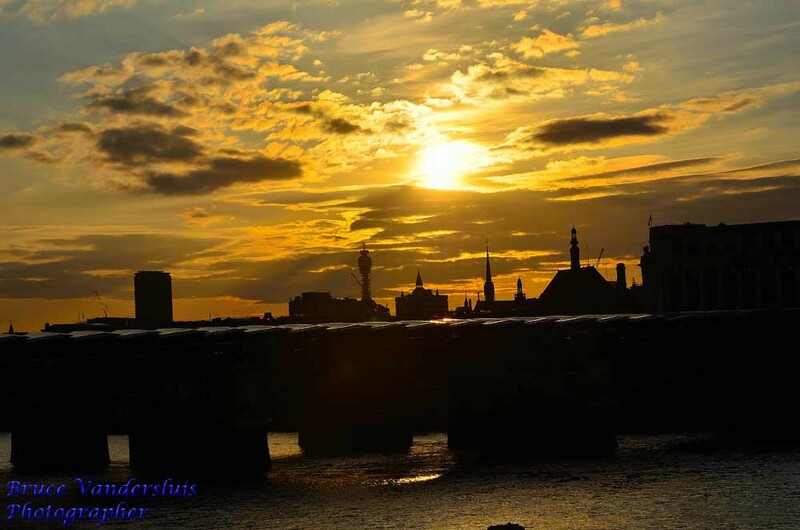 London Walks tour guides do not fail to deliver and their subject knowledge is exceptional. A day at the Tower of London is a must. We had planned a half day at the Tower, however that quickly turned into a whole day once we realised just how much there is to see here. We bought our tickets for the Tower online before leaving Australia, and I would suggest you do this also. This cut the queue for us quite significantly, and saw us inside the Tower along with the first wave of visitors. 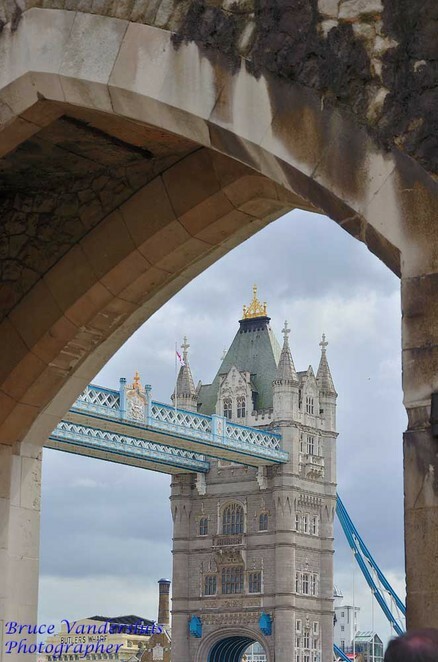 This beautiful photo of London Bridge was taken from inside the grounds. From London we took a one day tour through Bath and Lacock to Stone Henge. Again purchasing tickets before we left Australia, we booked a sunset tour. I have to say this was one of the most expensive tours we undertook, but it was an amazing experience and one that we hope to repeat. 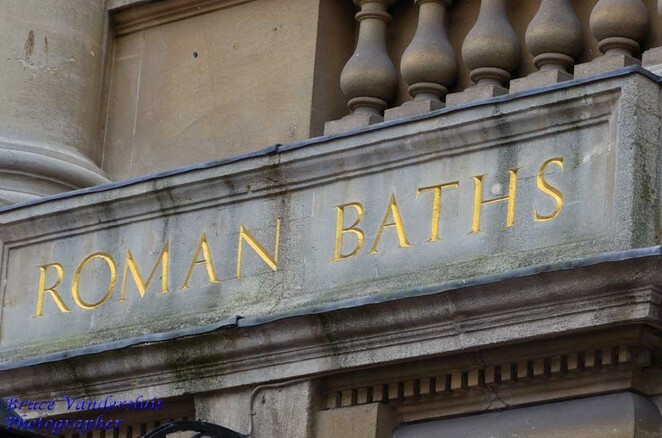 Our first stop was in Bath, where we visited the old Roman Baths. This was very interesting, however far too many people had been allowed into the facility and it was uncomfortably crowded. We also felt that, given the crowds, not enough time had been given to have a proper look around and we felt very rushed. I suggest if this is an area of interest for you, that you do this independently and not on a tour. As a result of the limited time, we did not get an opportunity to look around the town of Bath and would love to return for a proper look. Dinner in an old English pub in Lacock before we traveled to Stone Henge was lovely. Stone Henge is just one of those sites that you cannot miss. 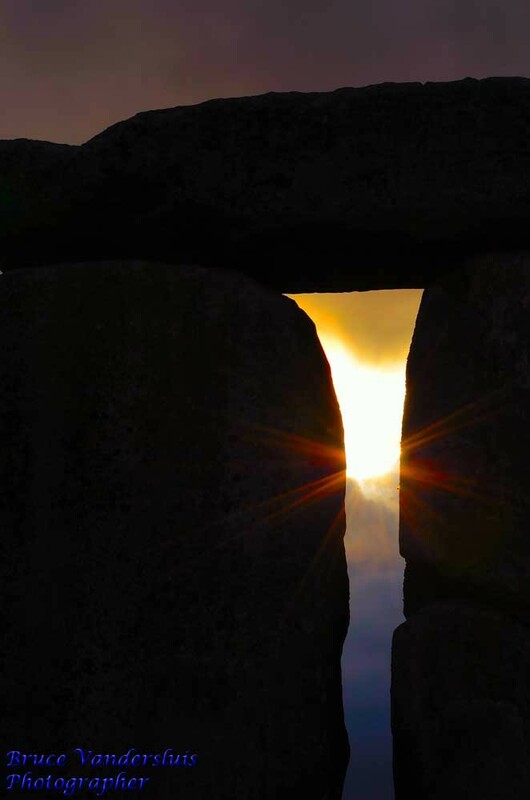 It had been drizzling all day, however as I entered into the stone circle the sun broke through the clouds and below is just one of the photos captured that day. Whether you believe in the spiritual side of Stone Henge or not, there is great beauty to observe here. My son who has had to leave old buildings did not feel a thing, however as I entered the circle it was like walking into a field of static electricity. Our time here was limited and while I would have liked to have more time, it is one thing I will never regret doing. 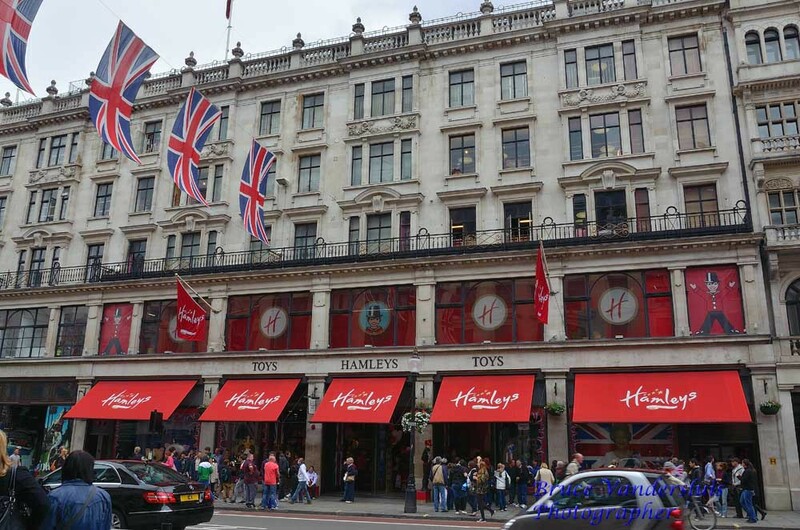 No trip to London is complete without a trip to Hamleys Toy Store for kids of all sizes. The oldest and largest toy store in the world, this was a sight to behold. With seven floors of fun to experience we had to attack this systematically. Everywhere you look there are employees playing with, sorry, demonstrating toys and we could not leave without having bought something, just so we could carry the bag down the street. As our time in London came to an end, we headed back to Kings Cross Station to catch the train to Edinburgh and came across Platform 9¾. 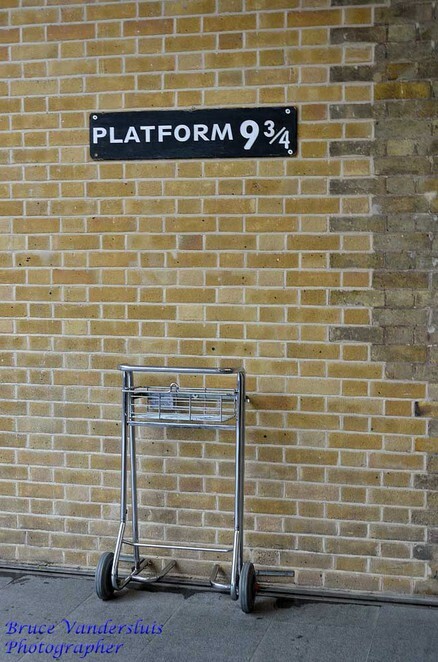 Alas, although we tried our hardest we just couldn't break through onto the platform!